Don't worry—it's not all about Valentine's Day. There are ample reasons to plan a trip in February: shucking off the doldrums of Dryanuary perhaps, or taking a romantic Valentine’s Day-inspired break. It’s also the month in which Mardi Gras most often falls, but don't limit yourself to New Orleans—towns around the world celebrate Carnival in their own distinctive, travel-worthy ways. Here are our picks for the seven best places for a vacation in February, whether you’re looking for a dose of winter sun or the chance to hit the ice. This coastal country in central America is emerging as an appealing alternative to the Yucatan nearby—it doesn’t hurt that it’s just a five-hour flight from the east coast of America, either. Development is split between two main hubs. 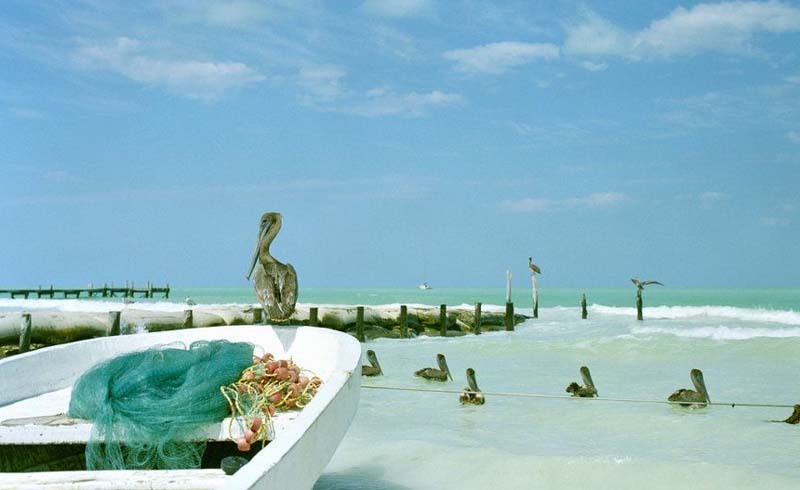 In the north, it’s Ambergris Caye, a handy base for iconic diving spot the Blue Hole. Try the family-friendly Mahogany Bay from Hilton’s Curio Collection here if you can’t wait until Leonardo DiCaprio’s tony eco-resort, the private island Blackadore Caye, opens (as rumored, in the next few months). 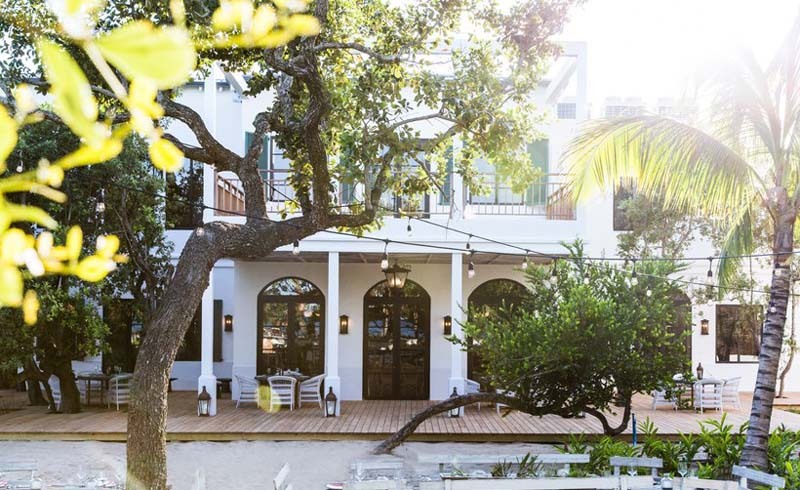 The southern anchor is the charming village of Placencia, which has rebounded impressively after a pummeling from Hurricane Iris in 2001 left almost every building in disrepair—including Turtle Inn, the longtime pet project of filmmaker Francis Ford Coppola. Head to the Hemingway-inspired Itz’ana Resort & Residences (pictured) with its 34, shabby-chic cottages (plus suites and waterfront resort residences), or Gladden Private Island, a full-service hotel that sleeps just four people. 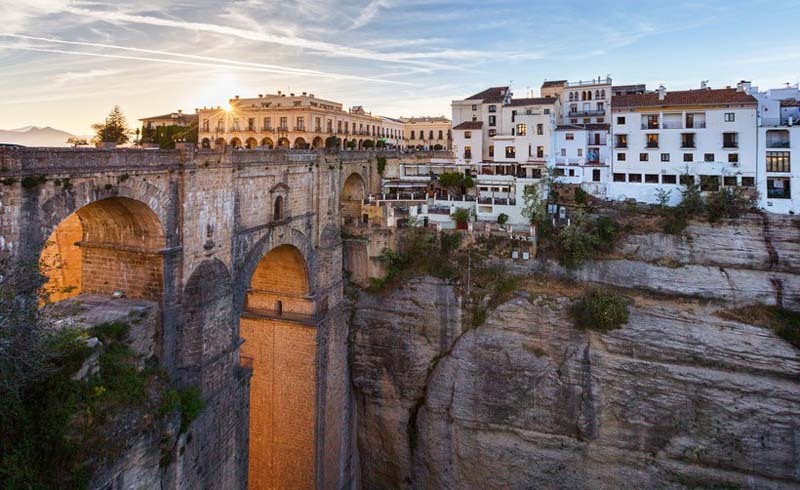 In 1980, a referendum designated Andalusia, that Moorish, moreish corner of southern Spain, as an autonomous community within the country. Almost 40 years later, the community here still celebrates that anniversary of autonomy during Dia de Andalucia, held every February 28. 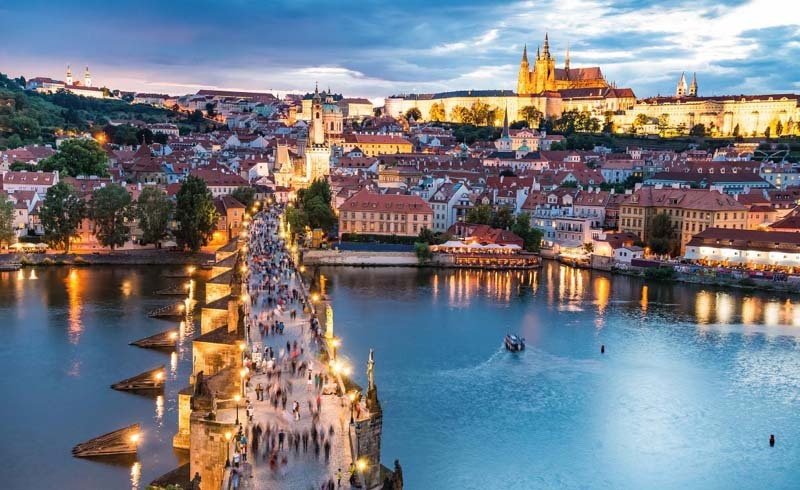 The holiday is a chance for the entire region to celebrate its identity, and the weekend will include events, parties and cultural happenings in all the region’s major hubs: look for balconies festooned with green and white bunting, a nod to the colors of the region’s traditional flag. Restaurants will be doling out old-school Andalusian breakfasts, too: fresh-squeezed, tangy orange juice with toasted, homemade bread, slathered in a thin layer of extra virgin olive oil. Celebrations tend to peak in and around Malaga, so an ideal base would be the lush, 67-room hotel nearby, Finca Cortesin (currently closed, but set to reopen on Feb. 21). The ten-year old resort comes with its own championship golf course—another ideal place to while away the day. 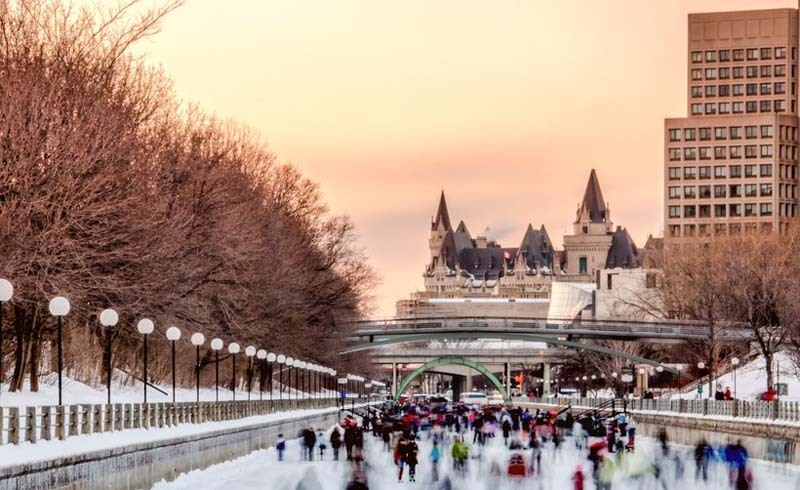 Canada’s brutal winters shouldn’t deter you from visiting the country in February, especially when the snow-capped landscape is an excuse for events like Ottawa’s Winterlude, which offers three weekends’ worth of freezing festivities. The anchor attraction is—what else?—a skating rink: The Rideau Canal Skateway is no ordinary winterscape, but rather the world’s largest naturally frozen rink (equal to 90 Olympic-sized hockey rinks) snaking through downtown Ottawa. Each weekend of the festival has its own individual theme this year: the first focuses on indigenous culture, including a First Nations Powwow inside a local museum; while the second is all about Capital Pride, a frosted-tipped version of the LGBTQ2+ fest including photo exhibits and drag shows. The final weekend, just in time for Ontario’s Family Day on February 18, emphasizes diversity and inclusivity for all families. Its premiere event is the fancy dress bed race, where costumed teams push hospital beds down a specially constructed course. Bypass the summer crowds with a winter visit to Tuscany. 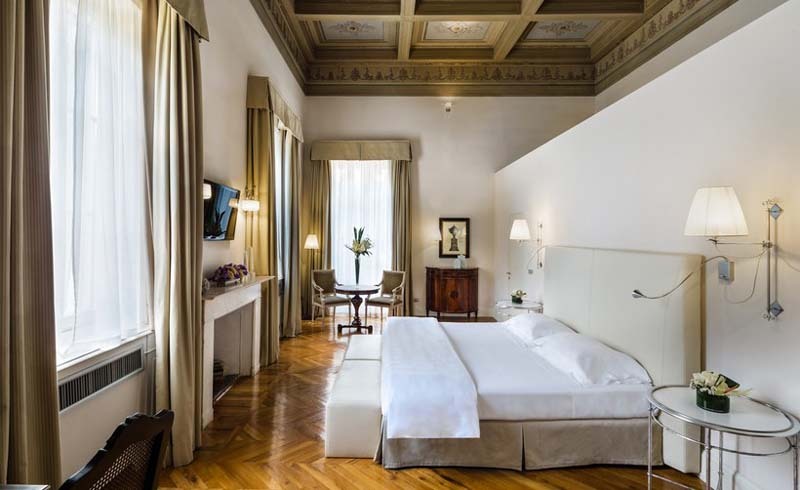 Start out by spending a few days in Florence at the Relais Santa Croce (pictured), and explore the Uffizi and Accademia galleries virtually tourist-free. Then head to the coastal, Belle Epoque-era town of Viareggio, a little over 50 miles west of Florence, to celebrate Carvinal. Carnival is a major celebration in all of Italy, of course, though the Tuscan approach is different from Venice’s iconic masked balls. Famous for building some of the world’s super-yachts, Viareggio has staged a Carnival parade for almost 150 years. Enormous, papier-mâché floats commandeer the resort town’s coastline for three days this February, and then two more days before Fat Tuesday. Think of the floats as a mashup of Macy’s Thanksgiving Day Parade and Saturday Night Live: the custom-built creations, towering up to 70 feet above the crowds, are bitingly satirical, and the rest of Italy watches to see what current events will be targeted most mercilessly by the Viarreggian wags. Decompress from the excitement at Il Borro, the fortified-castle-turned-luxury-hotel up in the Tuscan hills nearby. Thailand’s “Rose of the North” bursts into literal bloom each February, during Chiang Mai's annual Flower Festival (held Jan. 31-Feb. 3 this year). The festival is held in the Suan Buak Hat public garden, but every street in the old city will be covered in flowers and plants for three days. Expect dancing, music, and a riot of color—mostly day-glo chrysanthemums—and, of course, the city’s own Damask rose, which only grows here. Don’t miss the Saturday morning parade, which is the highlight of the weekend. 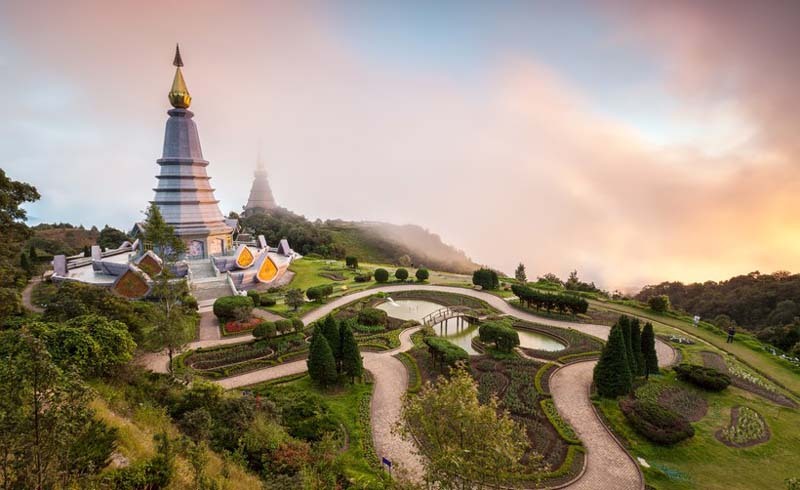 Chiang Mai is also a great base for shopping (the handicrafts are impressive), exploring the area’s 300+ temples, and trekking around the rugged Doi Suthep mountain nearby. Opt for an organized trip if you’d like to venture beyond the chrysanthemum-strewn streets. On February 3, Atlanta’s Mercedes-Benz Stadium will host the 53rd Super Bowl—it’s the first time in almost two decades that the game has taken place in the ATL, the last time being when the Rams defeated the Titans here in 2000. The city has taken its hostess role seriously, spiffing up the streets with al fresco art exhibit Off The Wall, a new program of 30 murals around town co-funded by the Super Bowl committee (the art will stay in place after the game as a monument to the event). Expect special pop-ups on the weekend of the game itself, including a fiesta at rival arena SunTrust Park’s Battery entertainment complex. 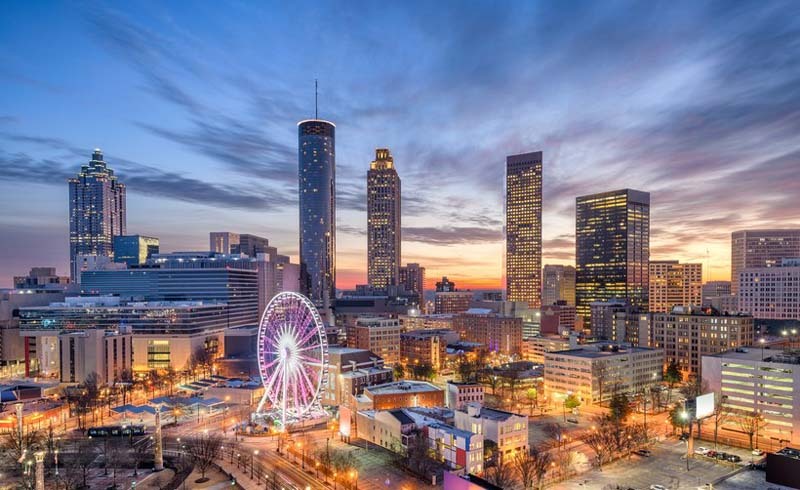 Try the southern steakhouse C. Ellet's there, or sign up for a day-long ticket at Shaq’s Fun House, the circus-style festival run by the longtime local resident and 15-time NBA All Star, complete with performances by Diplo, Migos, and Tiësto. And if you need more help planning a last-minute trip to a hot event like this, we’ve got you covered. There’s nowhere quite like Tivoli, the pleasure garden at the heart of Denmark’s capital. More like Copenhagen’s clubhouse than a formal park, it’s where locals gravitate each summer to hang out, listen to live music, or hop on roller coasters. Tivoli is no longer mothballed when the days draw in, though: the site's official Winter Season occurs within the month of February. 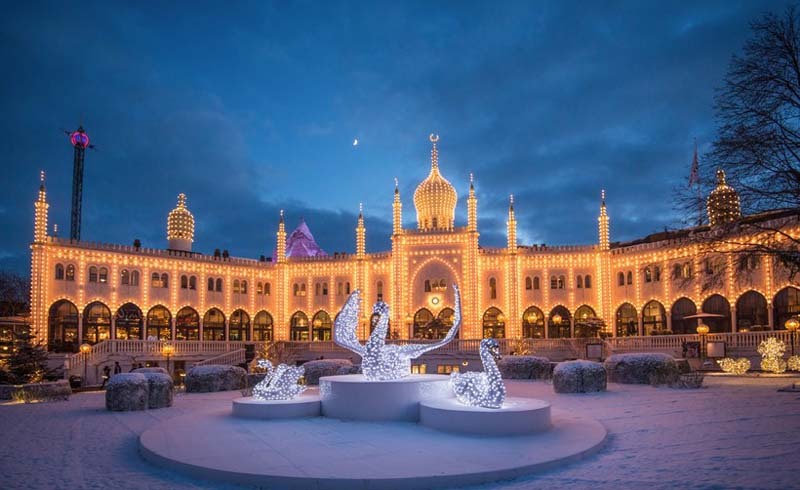 The park transforms into a winter wonderland for over three straight weeks, complete with snowmen, snowflakes, and an ice skating rink, plus an extraordinary light show via the Copenhagen Light Festival. And no visit to the spiritual home of new Nordic cuisine would be complete without a little gourmet indulgence, of course. This year, try an immersive supper at the new location of chef Rasmus Monk’s Alchemist restaurant. Shuttered for over a year, it recently reopened in a 24,000-sq. ft. converted former theater in Copenhagen's hottest ‘hood, Refshaleøen. Just be prepared: the 50-course meal (yes, 50-course) is a five-hour experience. Sleep off the inevitable food coma at the latest luxury hotel to join the city’s roster, the 155-room, four-star Hotel Ottilia, housed in a former Carlsberg Brewery downtown.